... as the day I talked about these sugar cookies. Being that it is fall, what better than make a seasonal cookie. And not just any cookie, but something in the shape of the cookie's flavor! Fall. Apples. Cider. 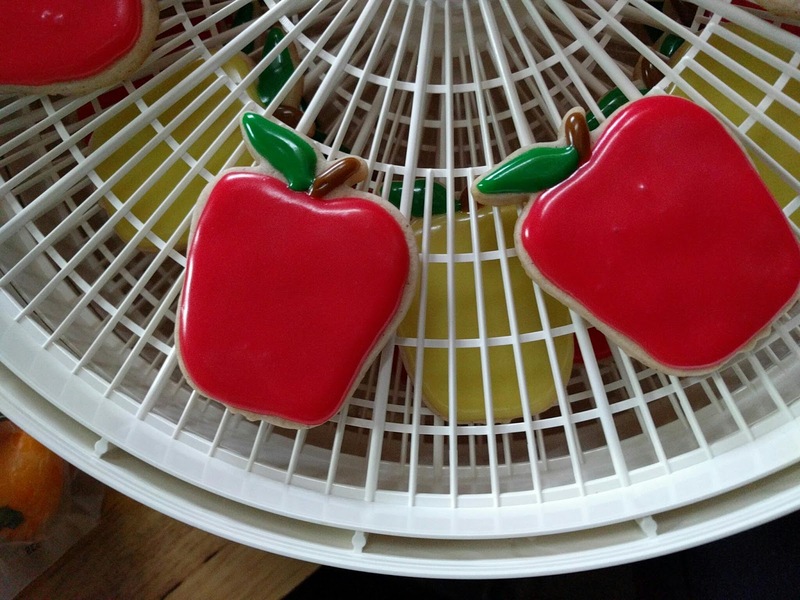 Apple cider sugar cookies. Perfect? Perfect. I used a recipe I found on Julianne Hough's website. You know, from Dancing with the Stars. I gotta say, it is a decent recipe and will now be on the baking rotation. Baking these will make your kitchen smell wonderful. The apple cutter is from Michaels, and I went with my tried and true sugar glaze. 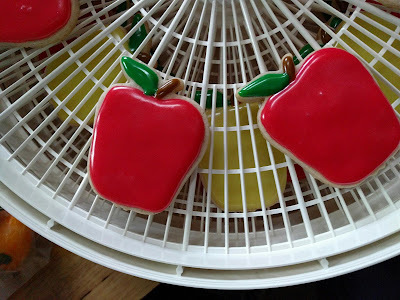 Used whatever I had leftover from Halloween, so not only did I have Red Delicious looking cookies, but Golden Delicious as well. Next time I make this, I'll try it with boiled cider. I'm thinking it will make for a stronger apple flavor.